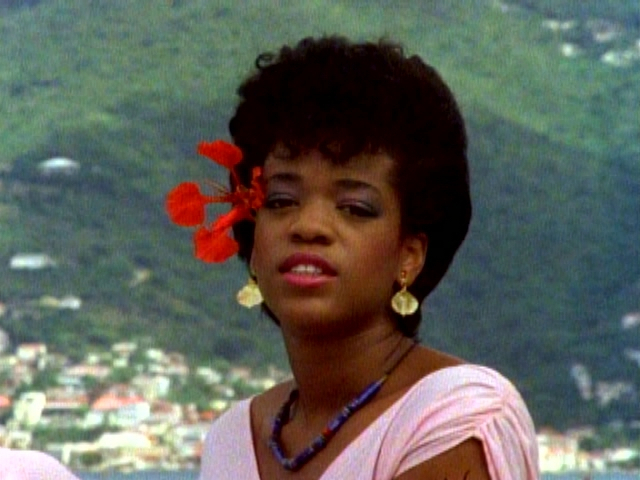 Evelyn “Champagne” King (born July 1, 1960) is an American singer, songwriter and record producer. She is best known for her hit disco single “Shame”, which was released in 1977 during the height of disco’s popularity. King had other hits from the early through the mid–1980s including; “I’m in Love” (1981) and “Love Come Down” (1982). King released her debut album, Smooth Talk, in 1977. It included the song “Shame”, which is her only top ten on the Billboard Hot 100, peaking at #9; the song also reached #7 Soul and #8 on the dance chart. The record was eventually certified gold. Another single from that album, “I Don’t Know If It’s Right”, peaked at #23 on the Billboard Hot 100 and #7 Soul; it would become her second certified gold single. In 1981, the single “I’m in Love” was released from the same-titled album; it reached #1 on the R&B singles chart and dance chart in August of that year; it also peaked at #40 on the pop chart. In 1982, King released the album, Get Loose. It yielded a top twenty pop and #1 Soul hit with the single, “Love Come Down”. The song also peaked at #1 on the dance chart and reached the UK Singles Chart top ten, peaking at #7 for three weeks. The follow-up, “Betcha She Don’t Love You”, peaked at #2 on the Soul chart and #49 on the pop chart. From the mid- to late-1980s, King would continue to chart on the Soul chart, placing eight singles in the Soul top twenty, with three making it to the top ten.